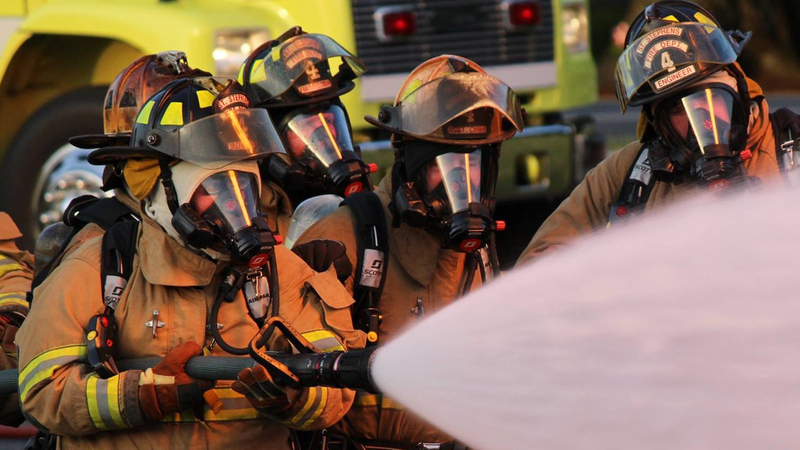 The board and staff of the North Carolina State Firefighters’ Association are proud to announce that two members of our Board of Directors were honored with prestigious awards at this year NCAFC Midwinter Chief’s Conference. Chief Quentin Cash was awarded Volunteer Fire Officer of the Year and Chief Chris Davis was awarded Career Fire Officer of the Year. Congratulations to both of them, the awards are certainly well deserved. 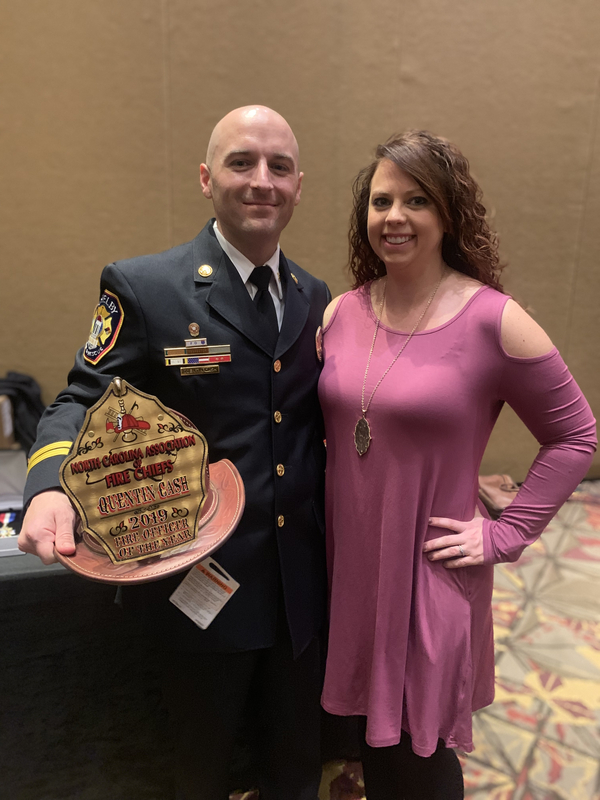 NCSFA Past President, Chief Kevin Gordon, was also presented a Legacy Award during the Midwinter Banquet. We are proud to have so many of our own be honored so highly. 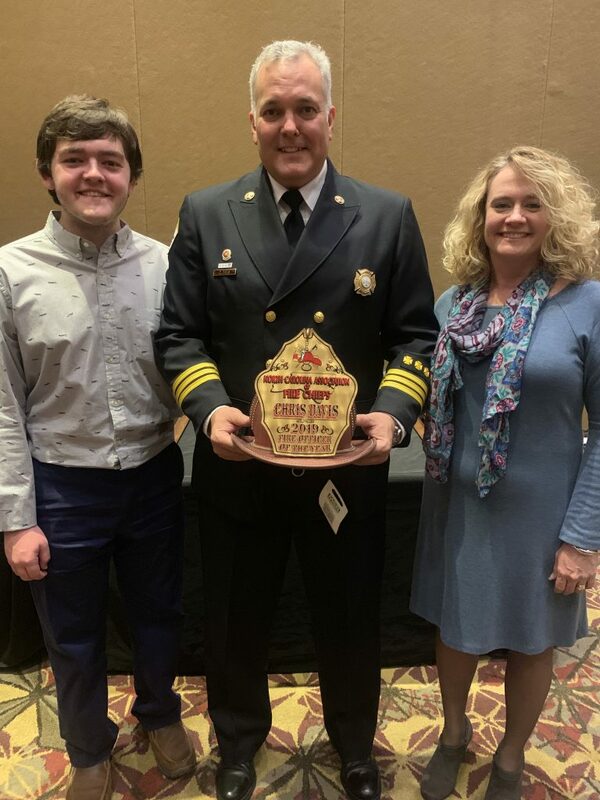 Chief Chris Davis, Career Fire Officer of the Year, with wife Dana and son Cole Davis.